Darren joined MAF in the beginning of 1988 and has held various positions within the engineering teams in Arnhem Land, Ballarat and Mareeba, supporting MAF’s flying programmes in those locations and the wider Asia Pacific Region. Darren is currently the Maintenance Support Manager for MAF International, a central role heading up a team of technical specialists who provide support and direction to MAF’s maintenance teams around the world. 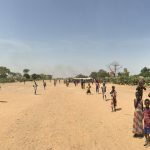 From his office in Cairns and Mareeba, Darren is still heavily involved in the day-to-day business of MAF’s programmes based in both the Asia Pacific and the Africa Region. Meredith loves to be involved in all the local MAF events, and together they have shared a passion for MAF for many years. 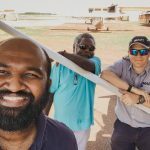 From developing aircraft maintenance programmes to sharing their lives with local MAF families, they feel privileged to be a part of what MAF is doing to transform remote communities in Christ’s name. Darren and Meredith have three daughters – Hannah, Gabrielle and Joanna. 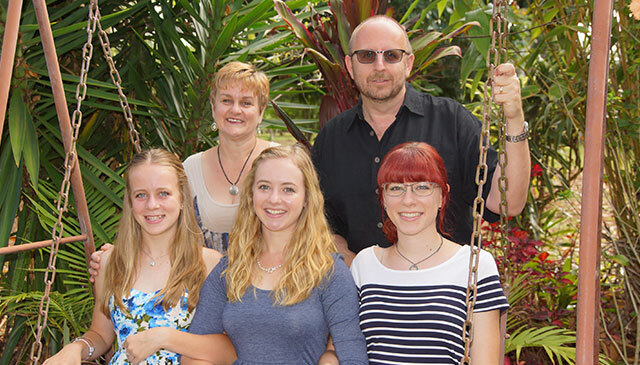 Hannah has moved away this year to study, Gabrielle has just completed Year 12 and Joanna attends the local High School. Meredith works as a teacher in the local Primary School. Together they attend the local Presbyterian Church and are all involved in the music ministry there. Take your everyday, ordinary life - your sleeping, eating, going-to-work and walking-around life - and place it before God as an offering. Embracing what God does for you is the best thing you can do for Him.